What started as peaceful protests by a group of Cameroonians in the English speaking zones of the Central Africa nation to agitate for an end to marginalisation and a clamour for equal distribution of national resources, has now degenerated into a full-blown conflict which is threatening to destabilise a country that for decades has prided itself as a bastion of peaceful co-existence. In less than two years, up to 400 citizens and 160 security officers have lost their lives and more than 70 school going children were kidnapped as the conflict between the government and armed separatists from the Anglophone region escalates. With parties of the conflict advancing scorched earth tactics and more bloodshed, citizens have started to flee their homes to neighbouring Nigeria. Yet Cameroon, a country that has been christened African miniature due to its diverse culture and which boasts of having one of the highest literacy rates in the continent, is on the verge of assuming failed states status. 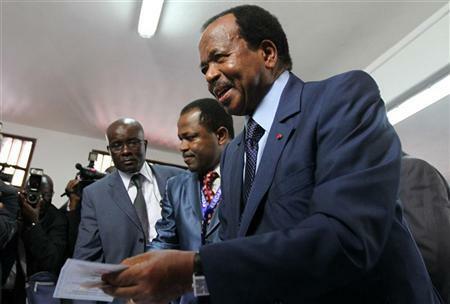 President Paul Biya, who was recently sworn in for his seventh term and who belongs to the majority French speaking community, hasn’t helped matters as he maintains a hard stance on separatists while refusing to engage in dialogue. Additionally, he has ordered a renewed crackdown. Despite employing unwarranted tactics that only exacerbate the situation, the separatists are raising valid concerns about their constitutionally enshrined rights to equal access of resources and an end to segregation. Their clamour for secession, which they consider justified, will only rip the country apart. This new term gives President Biya a rare opportunity to rise above partisan interests and be a statesman for the sake of the over 24 million Cameroonians who are looking up to him for answers, solutions and leadership. How he chooses to handle this crisis will determine the space and place of Cameroon in regional peace, continental standing and his legacy in the eyes of the world. It is time to show leadership, Mr. President.